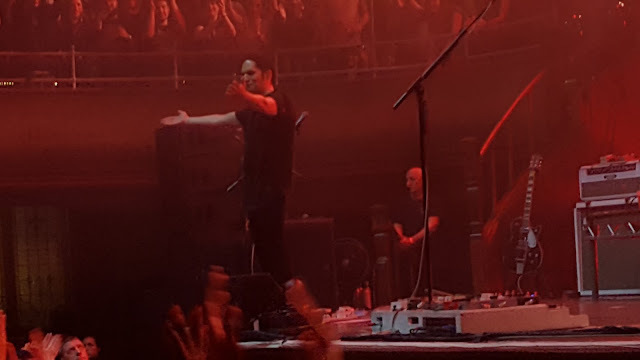 Here it is Placebo in Manchester again, it feels like they've been touring this 20th Anniversary for 20years. Not that I'm complaining, I can watch Placebo over and over - as I have, this is my 7th or 8th time. I came across Placebo by happenstance in 2002, when turning up at a friends house a skatevideo was on in the background. I always remember this as Mark Appleyard Flip Sorry - thats when I heard "My hearts a Tart your bodies rent, my bodies broken yours is bent". Instantly I was in love with the style and sound Brian and Stefen (including the 2 Steve's) created... and continue to create and, nichely, redesign. 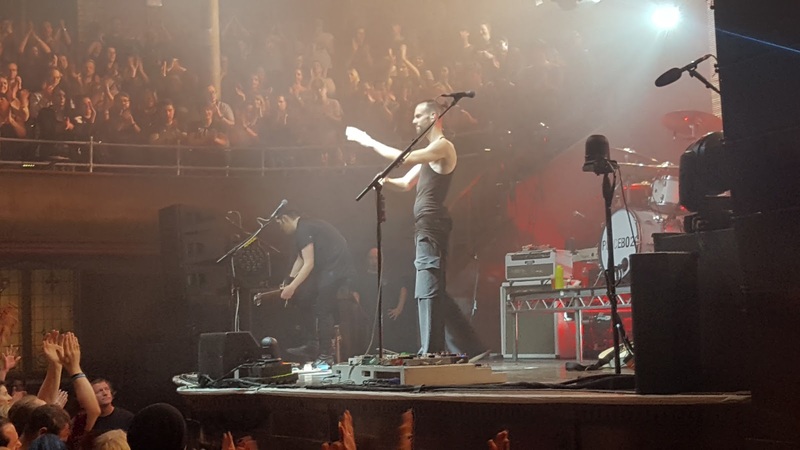 It is this niche redesign that truely places Placebo as 1 of my favourites live. The abilty to take the entire back catalogue and peform it differently, perfectly different everytime. Extremes of this adaptation can be seen in the Acoustic Angkor Wat concert. 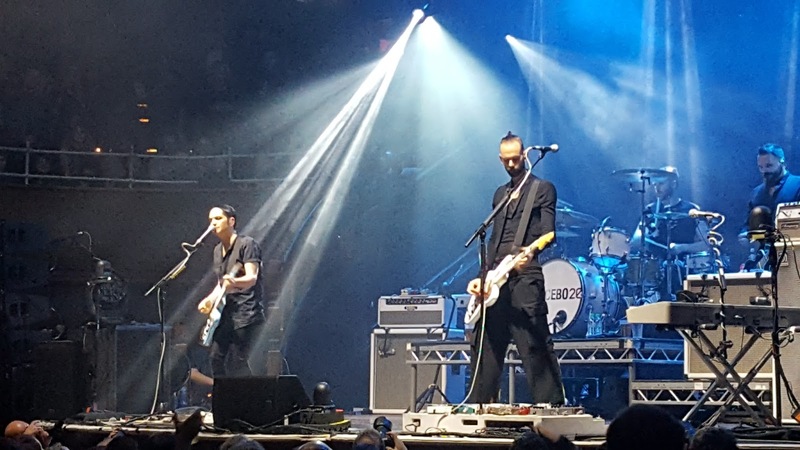 Placebo have 7 studio albums, 1 cover album and a raft of B-sides/Greatest hits. This tally gives them a very long list of songs to choose from. Each of these songs has several versions, versions of the same song to remember and rehearsed. It takes great skill to perfectly flick between versions of the same songs frequently. Admittedly I can see why many versions may be frustrating to fans who love singing along in time. I love watching Interpol play their songs like it's straight off the album, great, predictable and perfect. But I love the adaptions Placebo can create. As usual Placebo were amazing and perfectly performing as I professional and in time. Unsually for Placebo they stopped early into the 2nd song, asking for everyone to put camera's down. The tour so far has been in Arena's so this time it was a much smaller intimate gig, and they wanted everyone to be in the moment, which certainly happened. Although it didn't stop some. This kind of put me off, but I understood it. 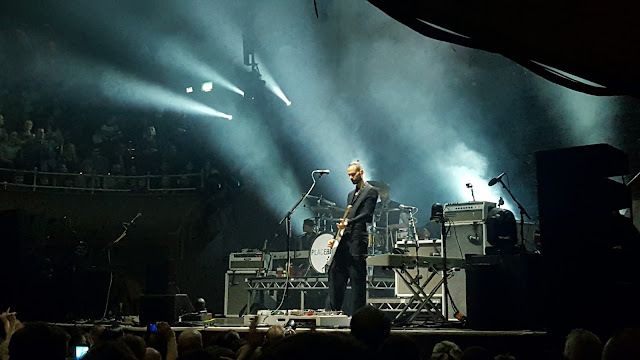 As someone who loves to take the odd picture for my blogs and for memories I was a little upset, however given Placebo have had issues with people streaming their gigs online, as well and their obvious anti-socialmedia society we have become it make sense. Back into the song they stopped again and threatened to have people removed, I couldn't figure out if this was Brian have a joke. Although today he didnt see his usual self, there wasn't much talking and joking between songs. The gig itself was amazing performance wise, with a 21 song setlist of the best of the best from their 8 albums. 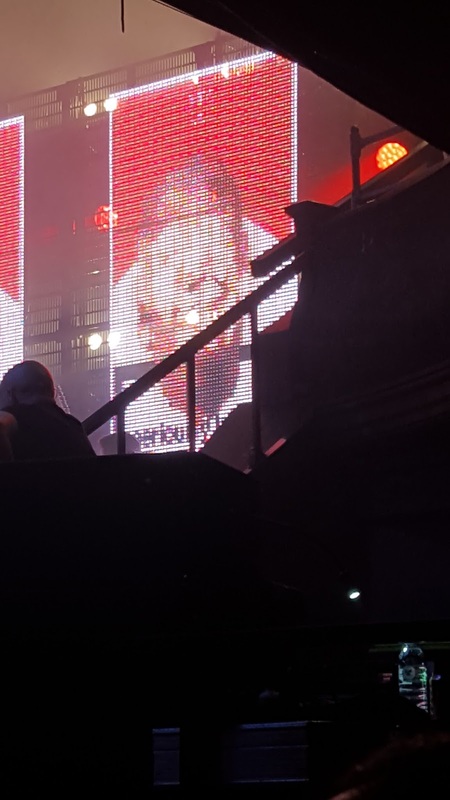 With a very emotional Without You Im Nothing - at times audience members crying during it. Loving Placebo, Brian and Stefan it was always going to be the best. I took few other pics right at the end, as they took their final bows.